Porting games to the Switch is becoming a very common thing to do for many publishers, to expand the library, or to increase the reach of certain titles. 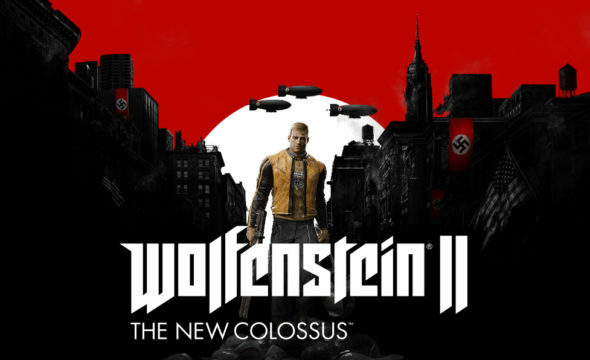 We’re actually still getting used to the fact that many adult titles are being released on the Nintendo Switch, with titles such as DOOM, Layers of Fear and now Wolfenstein II: The New Colossus. We were very eager to see how this title fares on Nintendo’s hybrid console, and if it holds up against the versions on other platforms. Truth be told, we didn’t care at all, we just wanted to blast some Nazis into kingdom come. 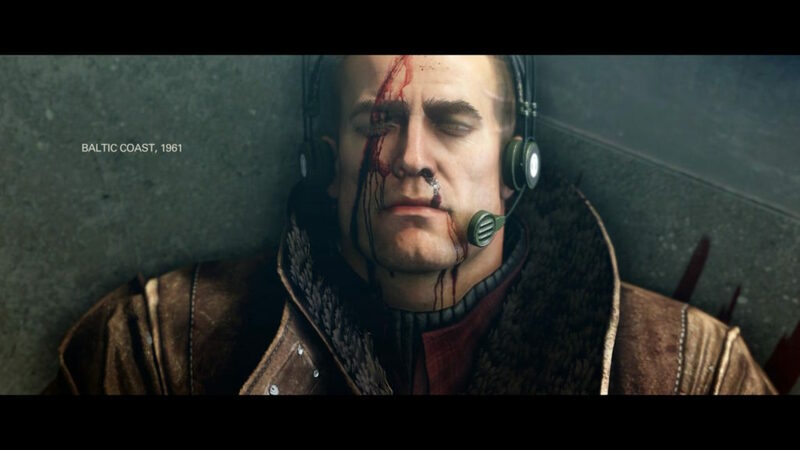 The game picks up where the previous one ended, with Blazkowicz in a puddle of his own blood, slowly slipping away. Luckily he is picked up by his allies of the Kreisau Circle, one of the last bastions against the Nazi regime. You are in pretty bad shape, as some of your organs are removed to keep you alive, and this causes you to slip in and out of a coma, waking up when the submarine you’re on is in danger by Frau Engel, who is still hunting you. Of course as expected, you become a badass hero again by the usage of Caroline, who leads the rebels, her power armor, which you receive after certain tragic events occur. The main goal is still to liberate America from the Nazi regime, forming a decent foundation to regain control over the entire world. You’ll be treated to an interesting story by the usage of cinematics and enough dialogues to keep things running. You won’t have to make do without story content for too long, making the story evolve at a steady pace, making the game rather interesting. Wolfenstein II: The New Colossus might just be the ‘prettiest’ game available on the Switch at this time. The game looks detailed and truth be told, not that much worse than its next gen counterparts on PlayStation 4, Xbox One and PC. The New Colossus is extremely detailed, with great character models, good looking environments and spiffy weapons. Honestly, you’ll be surprised from start to finish with the game’s design and qualitative port on the Switch. We thoroughly enjoyed the graphical prowess of the title and we can’t wait to see what other Bethesda titles receive such a qualitative makeover. The sound quality of TNC is pretty much on par with the game’s graphical caliber, making the whole something truly worth appreciating. The soundtrack might not be that noticeable when playing the game, but you’ll certainly appreciate the music when you hear it. The voice acting is superb and truly fits the game and its setting. It’s clear that many talented voice actors were hired to bring this new Wolfenstein universe to life. 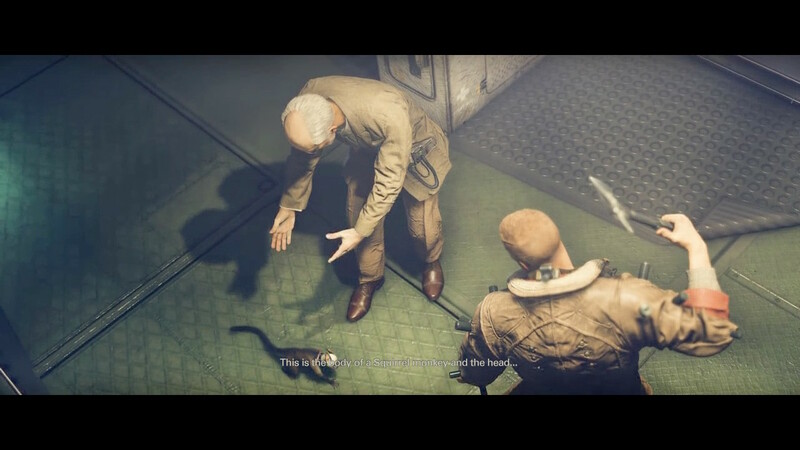 Wolfenstein II: The New Colossus is in its heart a very traditional First Person Shooter, with a semi-linear story, pitting you against Nazis from start to finish in a somewhat steampunk-esque parallel universe in the sixties. 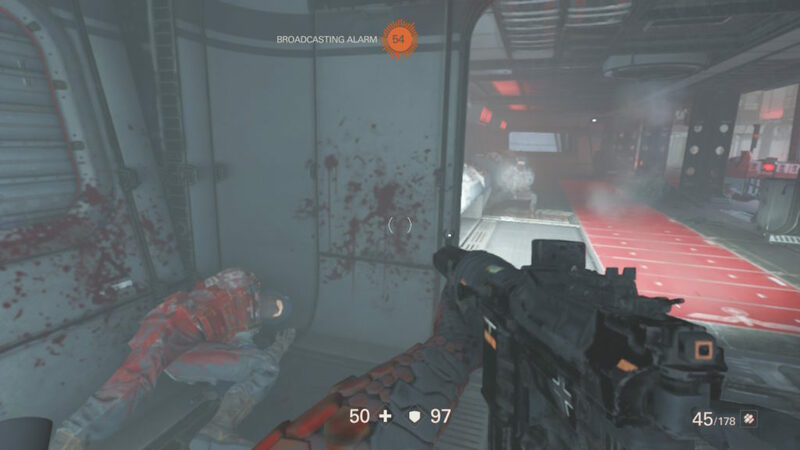 Run and gun might be quite literal on how this game works, but you’ll notice that caution is advised when playing on higher difficulties, as well as a steady aim if you want to survive what this game throws at you. Don’t underestimate the enemies that the game throws at you, even on the lower difficulties. Running into a Nazi infested area without the necessary preparations, precautions or without knowing the area, you’ll certainly die trying, even if you’re going for a valiant effort. The AI is decently doing their best, as they will come looking around corners, trying to track you down if you were spotted earlier. Your arsenal of weapons will grow steadily as you progress, making sure you don’t get tired of the setup you have to work with. The controls handle fairly well, but the game is more enjoyable with a Pro Controller than the original Joy-Cons. The game does have a sort of auto aim function when looking through your iron sight, but it’s actually rather crappy and more than often it doesn’t help you at all. The aiming isn’t always as fluent as you’d like, as sometimes you’re just shooting all over the place. Nonetheless, the game is a very impressive port and we’d love to see more qualitative renditions such as this one. 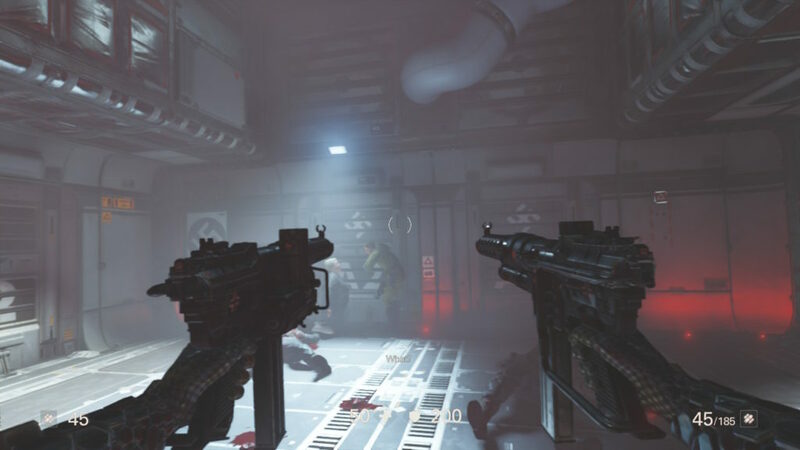 Wolfenstein II: The New Colossus is a massive release for the Nintendo Switch that puts adult games on the map for Nintendo’s newest console. You’ll be treated to a solid FPS, with an intriguing story of what could have happened if the Nazis won the second World War. Not only the gameplay is solid, but the graphical quality and the voice acting are truly what make this game a next gen title on a handheld console hybrid. If you played the first game, this one is truly worth picking up, and honestly, even if you skipped the first part, or simply don’t want to play games other than on your Switch, a bit of research will throw you right in the saddle of this great shooter.